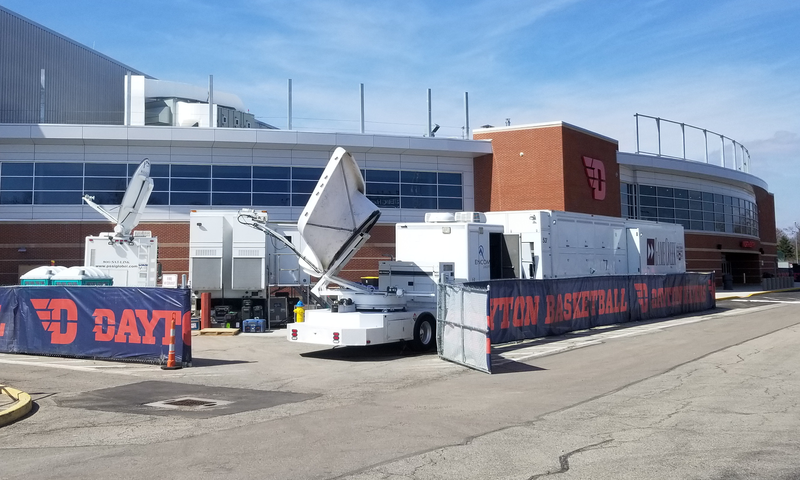 March Madness begins in earnest tonight in Dayton, Ohio and the production and operations teams from Turner Sports and CBS Sports are wasting no time in innovating. The networks will be distributing a collection of select games from this year’s NCAA Tournament in 4K HDR (high-dynamic range) beginning with tonight’s First Four. Turner Sports and CBS Sports will produce a selection of games during this year’s NCAA Tournament in 1080p HDR with an upconversion to 4K HDR on DIRECTV. Sony cameras will play a role in the show. The on-site productions will be done as a 1080p HDR upconvert to 4K, meaning that the production can be integrated with the standard HD production and will not require addition, side-by-side resources. The 4K HDR games will be able to be viewed on DIRECTV. By tournament’s end, there could be as many as 15 games produced in this 1080p HDR workflow. All First Four games and any game in the Tulsa (First and Second Rounds) and Anaheim (Sweet 16 and Elite Eight) regions where the HD show will air on a Turner network (TBS, TNT, truTV) are the games where the 4K HDR production will be done. It’s a similar workflow that CBS Sports used during its 4K HDR tests at the Masters last year. 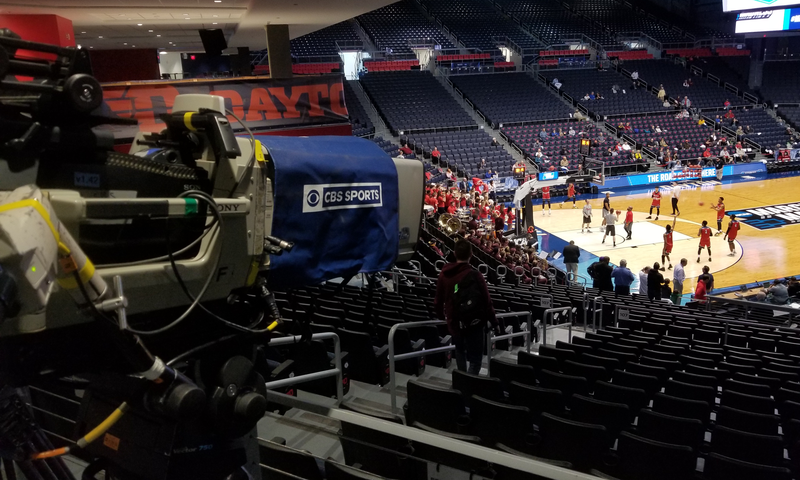 Turner and CBS also ran a test of the workflow in the basketball environment just a couple of weeks ago at the Missouri Valley Conference men’s tournament. According to Tom Sahara, VP, Operations and Technology for Turner Sports, this crew has benefitted from the knowledge learned by CBS in its golf tests last year and also benefits from the production being inside. A Game Creek Video production truck anchors the compound outside of University of Dayton Arena, the site of the NCAA Tournament’s First Four matchups on Tuesday and Wednesday night. In traditional basketball shooting positions. For conversion, they are using a pair of Sony HDRC-4000s and 21 Evertz UDX cards. According to Chris Brown, Director of Technical Operations for Turner Sports, the Sony’s are for final transmission to create the 1080i SDR feeds for CBS, Turner, and ESPN International. The UDX’s are handling source conversion for POV’s, graphics, etc. All of these special productions will be done out of Game Creek Video production vehicles on site. They will send the upconverted HDR signal via HEVC to CBS’s 1080p integration facility based in Los Angeles. From there, the product is delivered to DIRECTV (also based in L.A.). In the meantime, the traditional HD show is sent to CBS’s broadcast facility in New York where it can be delivered to its dedicated CBS or Turner network. On the audio end, these productions will be done in 5.1 surround sound.